Best Ships are Friendships with DT Larissa! 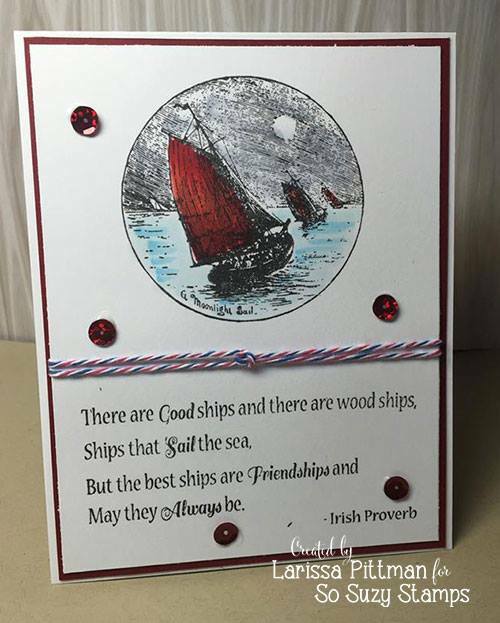 Larissa is up today with a pretty take on a card using a couple of the stamps of the month. The twine she used really ties into the nautical look, doesn't it? 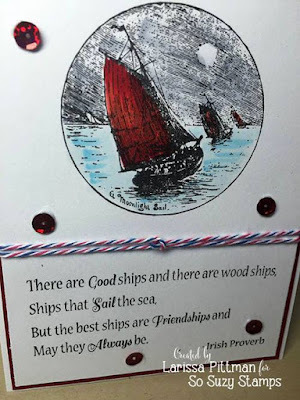 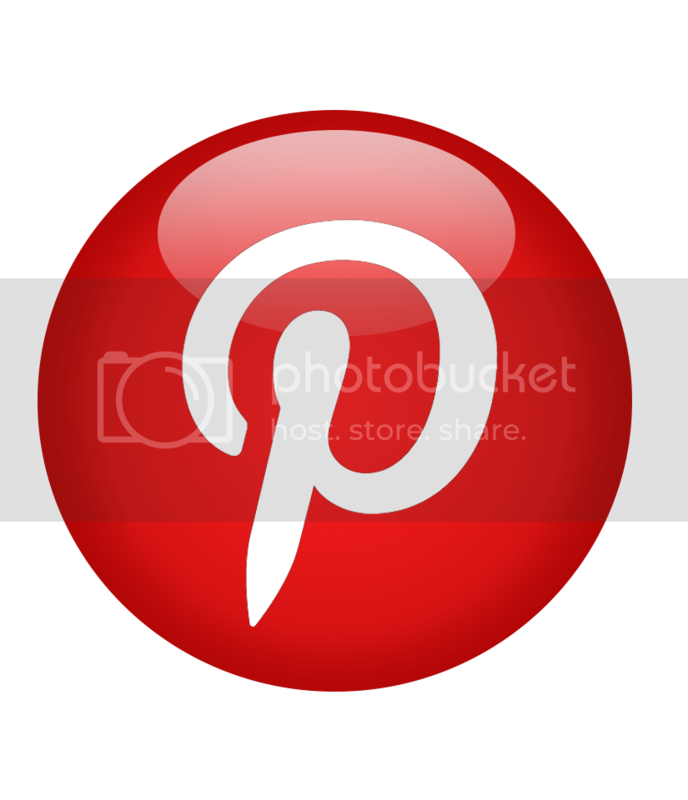 If you would like to know how she created this card, head on over to her blog.